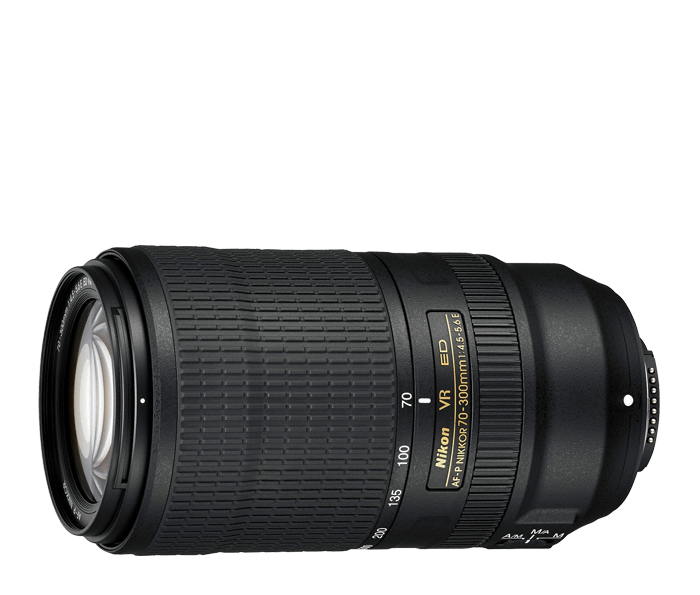 The AF-P NIKKOR 70-300mm f/4.5-5.6E ED VR is an advanced lens that draws peak performance from Nikon's latest generation of FX and DX cameras. Its versatile 70–300mm focal length range (105–450mm on DX cameras) is great for everything from portraits to close-ups of nature and wildlife. The number of cameras compatible with this lens is limited. Even for compatible cameras, a firmware update may be required.Fully compatible models: D7500, D5600, D3400, D500. Regardless of firmware update, these models will still have some limitations*: D3, D3X, D3S, D700, D300, D300S, D7000, D5200. Incompatible models:D2 series, D1 series, D200, D100, D90, D80, D70 series, D60, D50, D40 series, D5100, D5000, D3200, D3100, D3000, film SLR cameras.